It's almost the end of May, and we're almost into June! I can't believe how fast this year is flying by. 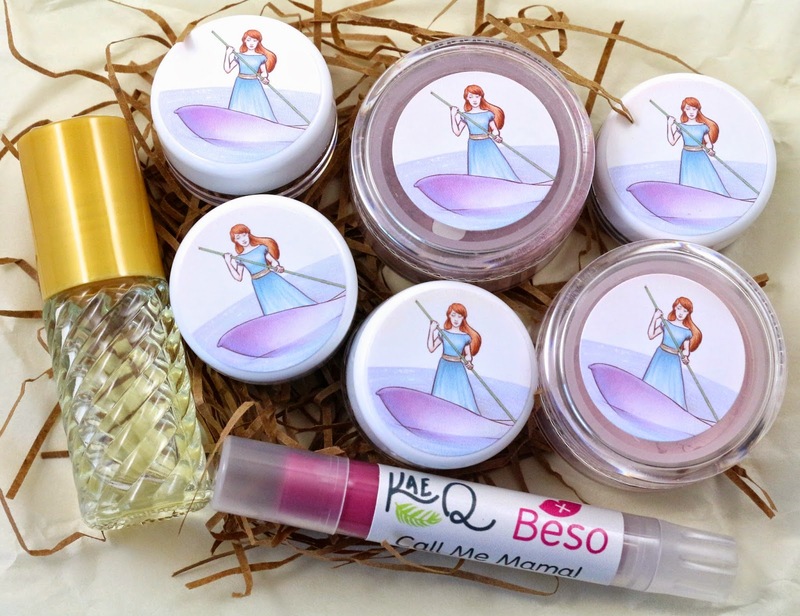 But I'm back with another month's worth of my favorite products. I had to make sure I had my favorites locked down kind of early this month because I wouldn't be home to take photos of anything in the last week here. But I managed it, and had a good variety of products this month. Well sort of, but there were just so many good perfumes/lip products/blushes this month! 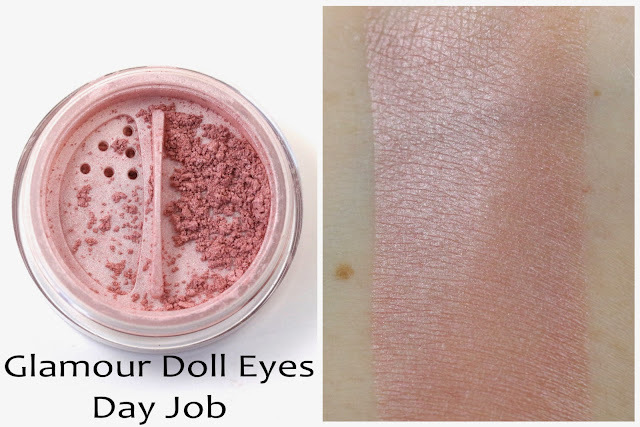 Glamour Doll Eyes Day Job - "A soft mauve, leaning more towards pink." I was a little scared of this blush when I first saw swatches, I thought for sure it would be too shimmery for me because I tend to prefer matte to satin finish blushes. But if you can apply it just right, it actually makes it look like you're wearing a highlighter and a blush. 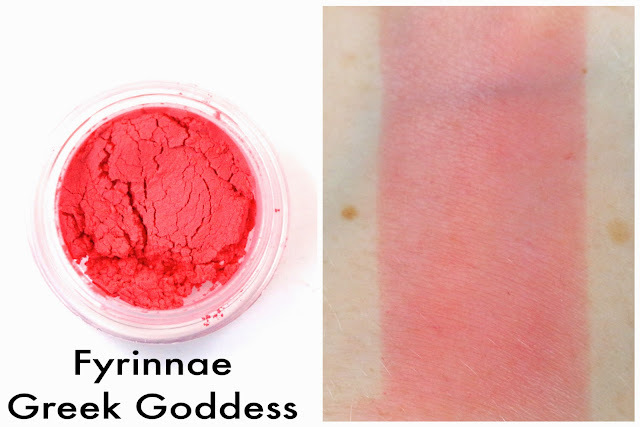 I think the effect is just beautiful, and this has become one of my favorite go-to blushes. Hello Waffle Dormouse - "Pale sparkly taupe." As much as I love my brightly colored shadows, sometimes I just want a one shadow neutral for a simple look. 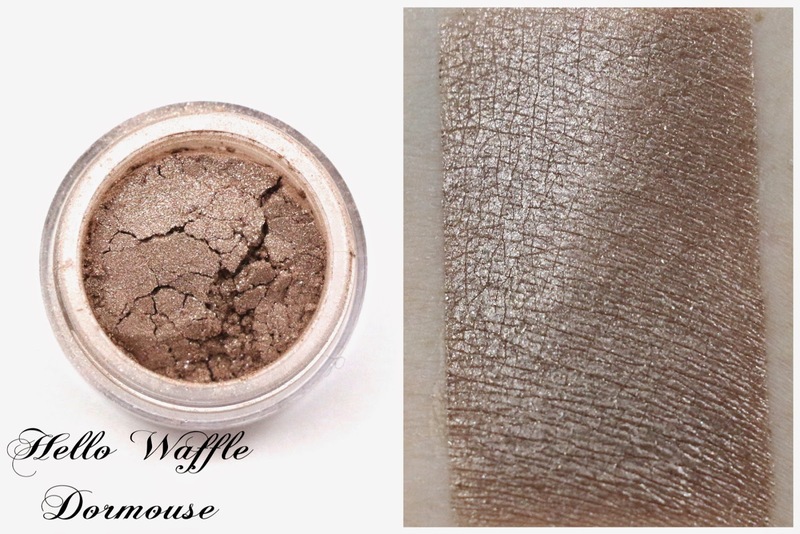 And this is a perfect color for that, use it lightly over primer for a very subtle look, or packed on over Pixie Epoxy for a more metallic finish. I just love these pencils, I've actually got both in my purse right now. 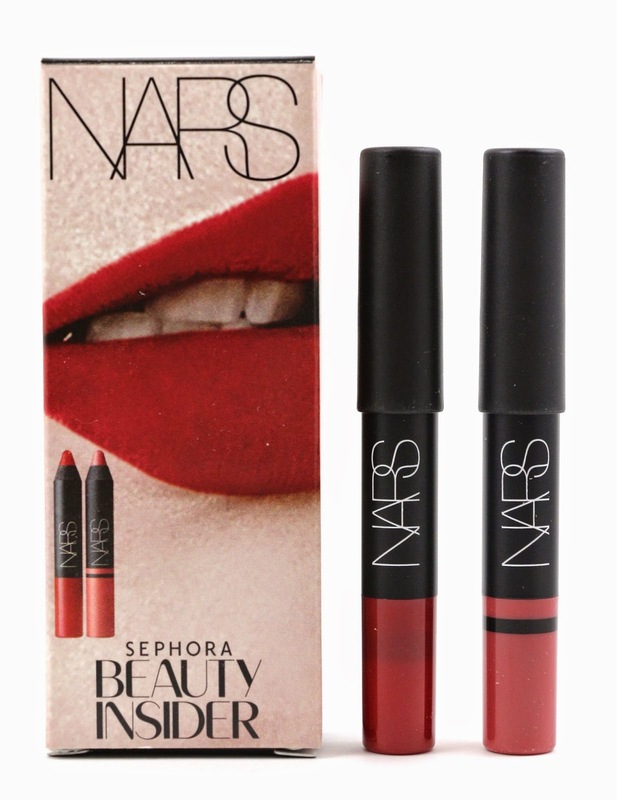 The lighter pink shade is perfect for a quick lip on the go, and the matte red is great as a statement lipstick. I actually wore the red to a beer festival with blue eyeliner, and a blue shirt because the theme was superheroes. I thought it looked very colorful and festive together, and the lip pencil held in place pretty well considering I was eating and drinking the whole afternoon. I reapplied once, but even then I didn't need to. These are so great, I might actually consider buying more of the matte shades. 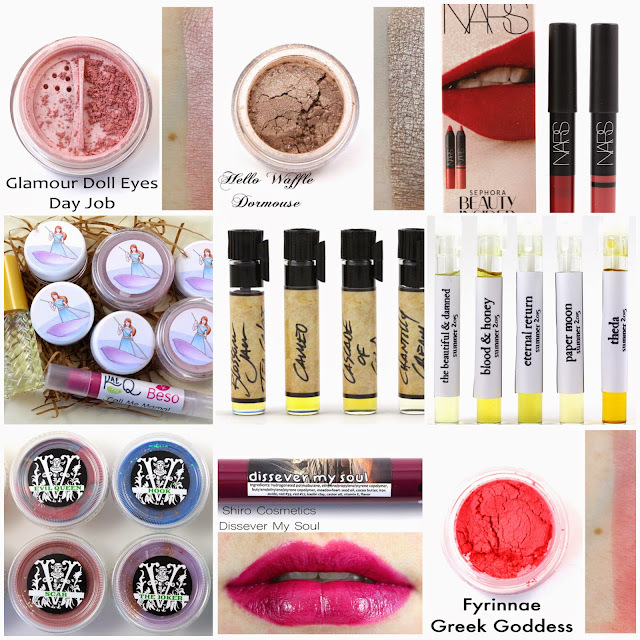 I just loved everything in this month's Visage, from the perfume, to the lip tint, to the blush, highlighter, and shadows. Definitely one of my favorite months from this subscription, everything was just perfect! Solstice Scents Blossom Jam Tea Cakes - "Southern Tea Cakes, Petit Fours, Floral Infused Jams & Preserves and a Delicate Aroma of Tea"
I'm wearing this as I'm writing this, and it's just a wonderful fruity cake scent. 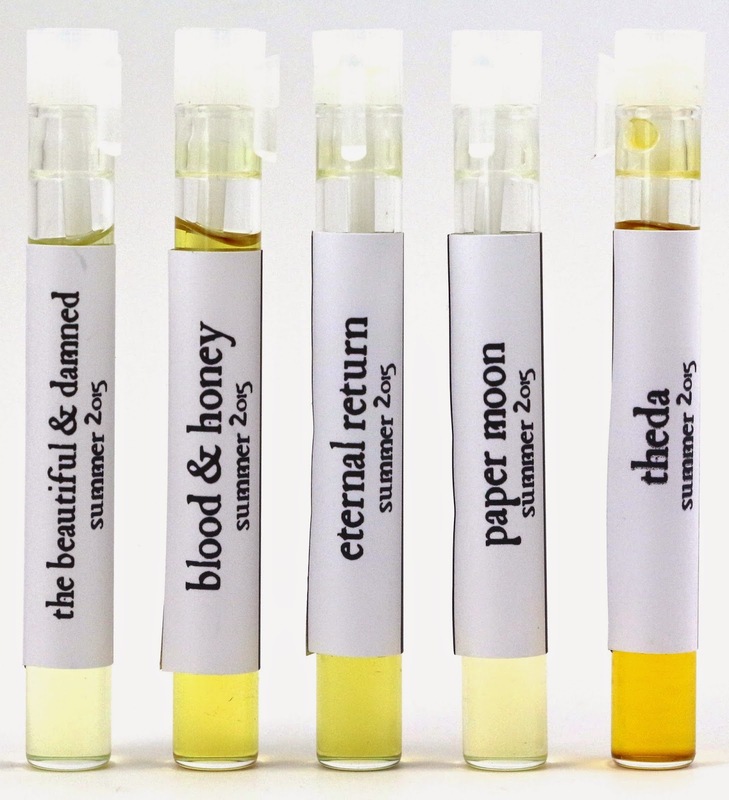 I think I've discovered that I don't like my perfumes to be mostly any one note, I like balanced scents. I think that there are many who love in your face cake scents, but I do not. And this is just such a good cake scent without being all cake, all the time. These were my two favorites from the summer Sixteen92 collection, Blood & Honey being the one that will appeal to honey perfume lovers, and Paper Moon will appeal to vanilla perfume lovers. 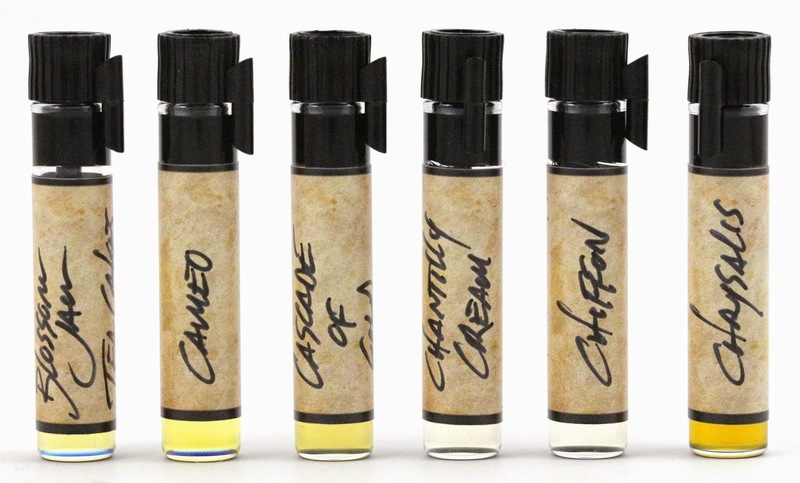 And the new carrier oil formula seemed to make these scents last much longer than the old formula. I can't wait to grab a few of these in full size this week. I have never really gotten into wax tarts, I've always been more of a candle person myself. 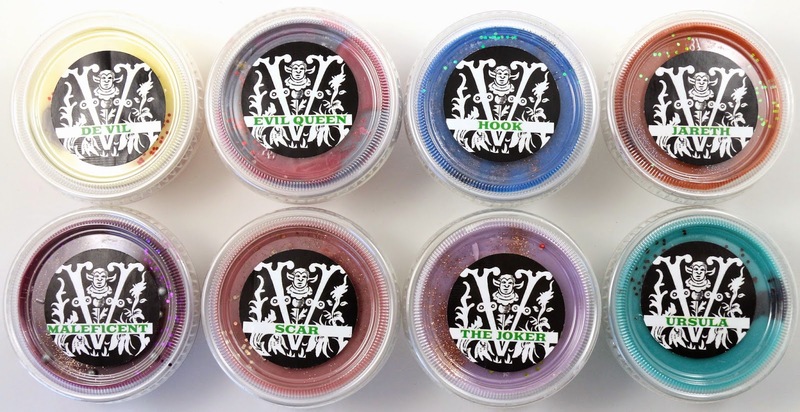 But after trying these wax tarts from Sugar & Spite, I am a total convert. They were all so beautiful, and yummy smelling. They're so pretty I don't want to use them, but they smell too good to not use. I can't wait for more wax tarts from Sugar & Spite, I will get them all! 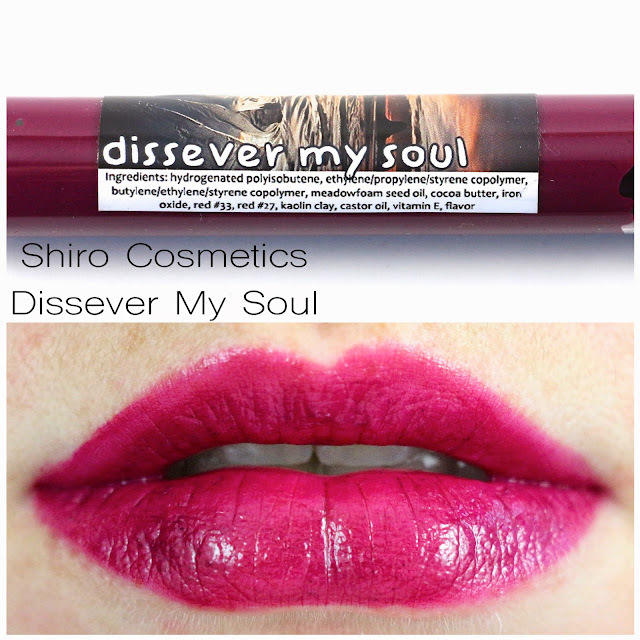 This lip gloss is a Shiro exclusive to the Femme Fatale shop, and it's such a bright, bold berry shade. I absolutely love it on, it makes quite the statement, but it is still fun and wearable. Definitely worth checking out if you're already planning a purchase from Femme Fatale, or even if you're not. It might be worth it on it's own. Like I mentioned in my review, this Greek Goddess blush from Fyrinnae blends like an absolute dream. And I love how bright it looks in the jar, but how wearable it is on the skin. And the Lip Lustre Dragon's Blood shade just looks like such a perfect dark red shade, but is still not too dark. And it isn't too fussy either, you can put it on and kind of not worry about it, which I always love in a lip product. Those are my May favorites this month, what were some of your favorites? Let me know in the comments!